In the recently read 2016/17 budget by the Cabinet Secretary Finance, the government allocated 13 Billion to the digital learning program, popularly known as the laptop project. DLP is an ambitious project by the Jubilee government seeking to give standard one pupils in 22,000 schools across the country various learning devices. The project also targets teachers with these devices, which will be instrumental in facilitating learning. Mwalimu National Sacco, a 70,000-member teacher’s Sacco is planning to supplement these efforts by launching a loan facility, which teachers can tap into and buy devices affordably. 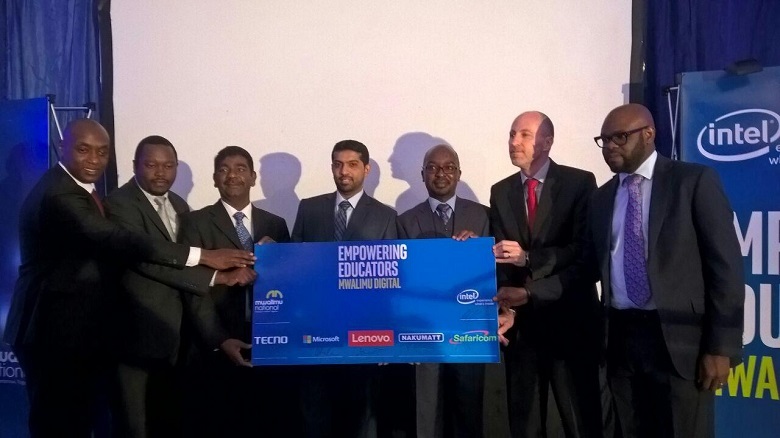 The Sacco has partnered with among others Intel, Lenovo, Microsoft, Tecno, Safaricom and Nakumatt for the program dubbed Mwalimu Digital Initiative. Ideally, a member will apply for the devices by filling a loan form and specifying the device model as well as their preferred collection point which include Nakumatt outlets or Safaricom retail shops. Approval for the loan will take 48-hours, a period where Mwalimu will also alert the selected distributor. The member will then collect their device once they provide their ID or any form of identification and repayments will commence afterward. The devices will come loaded with content from the Kenya Institute of Curriculum Development (KICD), giving teacher’s greater access to teaching resources. The repayment period for the laptops will be a maximum of 36 months at an interest rate of 12% (1% per month). The devices include Lenovo IdeaPad, with a monthly repayment of Kshs. 2,115 and Tecno WinPad 10 with monthly repayment of Kshs. 1,019. Microsoft will bundle the devices with free 1-year Ms Office 365 License.The program initiated by Intel seeks to improve teacher access to the internet, extend software and applications to allow teachers produce better teaching resources.